Affiliated faculty in Center for Information Technology Policy, Electrical Engineering, Program in Applied & Computational Mathematics, Princeton Environmental Institute, and Program in Gender and Sexuality Studies. Jennifer joined the Computer Science Department at Princeton University in February 2005 after eight and a half years at AT&T Research. Her research focuses on Internet routing, network measurement, and network management, with the larger goal of making data networks easier to design, understand, and manage. 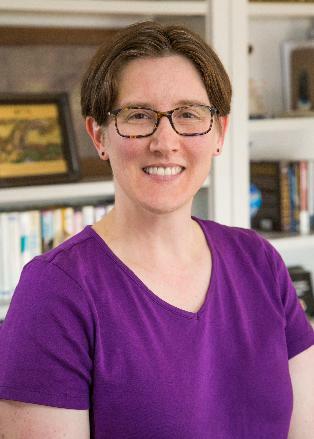 Jennifer is co-author of the book Web Protocols and Practice: HTTP/1.1, Networking Protocols, Caching, and Traffic Measurement (Addison-Wesley, May 2001) and co-editor of She's an Engineer? Princeton Alumnae Reflect (Princeton University, 1993, see recent talk about the book). Jennifer served as the chair of ACM SIGCOMM from 2003 to 2007, and has served on the ACM Council, the board of the Computing Research Association, the advisory council of the Computer and Information Science and Engineering directorate at NSF, and the Computing Community Consortium. She received her BSE degree in electrical engineering from Princeton University in 1991, and her MSE and PhD degrees in computer science and electrical engineering from the University of Michigan in 1993 and 1996, respectively. She was the winner of ACM's Grace Murray Hopper Award for outstanding young computer professional of the year for 2004. I also have a personal interest in Internet policy issues. My earlier publications fall into the following main areas: Web protocols and workloads, video proxy services, load-sensitive routing, packet-scheduling architectures, multicomputer router architectures, and fault tolerance and parallel computing. Several of these papers are surveys on the inner workings of Internet Service Provider networks. I also have some non-refereed position papers online that describe the way I think about data networks. See, for example, a recent CCR paper on "My Ten Favorite "Practical Theory" Papers. On a related note, I had the pleasure of giving an talk on "Building a Strong Foundation for a Future Internet" (and short write-up) at STOC'08. More recently, I presented the ACM Athena Lecture on "Hitting the Nail on the Head: Interdisciplinary Research in Computer Networking" (video, slides) at SIGCOMM'17. Joshua Reich, PhD Columbia 2011, postdoc 2011-2014, joined AT&T Research, fall 2014.